In 2016 FORUM-ASIA elected a new Executive Committee. Max de Mesa took on the role of Treasurer. Unfortunately, Max passed away later in the year. His position was taken up by his long-time colleague, Rose Trajano, Secretary General of the Philippine Alliance of Human Rights Advocates (PAHRA). The following interview is based on a conversation we had with Rose in March 2017 in Bangkok, Thailand. We talked about her background, her motivation both in hopeful and challenging times, and much more. I studied at a nursing college, and luckily it was a very progressive one. We were working with communities, and while doing so, we saw the different realities, not just between the hospital and in the communities, but also of people across the country. After I graduated in 1986, all of us went to work with communities all over the Philippines. I joined the Medical Action Group, a human rights organisation. Initially I worked with them as a clinic nurse, and later I became the Executive Director. I worked with them for 11 years. After that I joined Plan International, an international organisation that promotes child rights. I also worked with migrants at the Kanlungan Centre Foundation. We provided services, organised activities and advocated for migrant workers’ rights, especially women. Since 2010, I have been working for the Philippine Alliance of Human Rights Advocates (PARHA). So in total, so far I have been working for over 30 years for different non-governmental organisations in the field of development and human rights. Do you think your background as a nurse gave you a different perspective on human rights? Yes, especially when I was with the Medical Action Group, we could see that the human rights situation in the country was affecting the well-being of the people. To have human rights means that you have access to basic health, a livelihood and in general to be healthy. Being a nurse was very important in the sense that it gave me the perspective of not just seeing the differences or disconnect on a societal level, but also the affects human rights have on a human level, on the well-being of individuals. Over the years the political and human rights context in the Philippines has had its ups and downs, has this changed your motivation for working on human rights? After the martial law years and the ousting of Ferdinand Marcos in 1986, we were very inspired, as we saw it as a great opportunity for democracy. In fact, after 1986 the Philippines was seen as a model for human rights in the rest of the region. 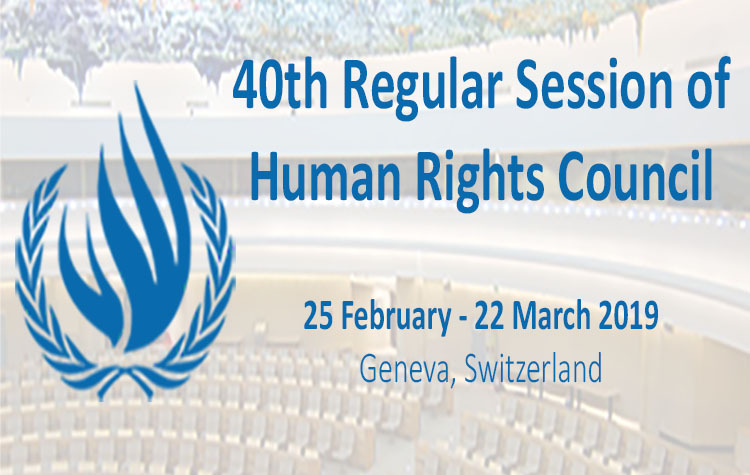 We ratified almost all international conventions and we adopted several human rights laws. We realised the People Power Revolution from 1983-1986, and we were, are very proud of it, since it was the start of a larger movement that spread all over the world. It was a very peaceful revolution by the people. It really inspired us. However, during the terms of President Gloria Macapagal Arroyo – from 2001-2010 – we recorded gross human rights violations. President Benigno Aquino III took the office after her, and the relationship with civil society groups was pretty good for about two years. After those initial years, we became more critical of him for failing to protect human rights. Still, with Benigno we had some opportunities for engagement. In fact, PAHRA used to engage with the human rights office of the police and military. This was a milestone for us. I think only the Philippines have a human rights office within the security sector. PAHRA engaged with them to teach them about civil and political rights, human rights issues and violations, and organising community-based dialogues. Then came the new President, Rodrigo Duterte. Duterte has been investigated by PAHRA and other human rights organisations since 1990, so we know what kind of leader he is, what his record is. When he was elected, we formed a larger human rights movement, way larger than in the past, iDEFEND (In Defense of Human Rights and Dignity Movement). About 70 organisations formed a nation-wide coalition. The strategic goal is to advocate for human rights for all, especially women’s rights. We are prioritising civil and political rights. So yes, there have been ups and downs, but this is normal for human rights defenders. Your passion will always face challenges. How do you keep yourself motivated despite the challenges? I know that I am not alone. I know that there are more human rights defenders out there in the Philippines that are stepping up. We also receive international solidarity from networks around the world. To be a member of FORUM-ASIA, FIDH, or other international organisations, encourages and empowers us to battle our fears. We know that we are all facing challenges, but we are doing it together. What would be your advice to the new generation of human rights defenders? They should understand, appreciate, and embrace genuine concepts of human rights, especially the universality, indivisibility of our rights, and the equality of all. This will help you to know how to act as a human rights defender, as an activist. We all have to constantly continue our detailed study of different human rights situations, and find ways to connect with other human rights defenders and with the people on the ground, because they are the one who can really feel when human rights are violated. We need to nurture our passion, but if you truly understand human rights, then your passion will never falter. I also with migrants, with the Kanlungan Centre Foundation. We provided services, organised activities and advocated for migrant workers’ rights, especially women. Since 2010, I have been working for the Philippine Alliance of Human Rights Advocates (PARHA). So in total, so far I have been working for over 30 years for different non-governmental organisations in the field of development and human rights. So yes, it there have been ups and downs, but this is normal for human rights defenders. Your passion will always face challenges.